But, many people don’t fully understand what happens in a home inspection or what they need to do to get the most out of it. Find out what inspectors say are the five biggest mistakes buyers make during the home inspection, and how you can avoid these potentially pricey pitfalls. Even experienced homebuyers sometimes make this rookie mistake. They assume that because a home has passed all local codes and ordinances, it must be in good shape. Don’t be so sure, says Jim Troth, owner of Habitation Investigation LLC, a Mechanicsburg, Ohio, home inspection company. Troth once inspected a brand new home that had just passed the final municipal and county building inspections. But when he explored the crawl space beneath the house, he discovered someone had removed about 3 feet of the home’s main support beam to accommodate duct work. “The house was already beginning to sink in that area,” he says. The moral of the story: Don’t assume your builder — or the contractors — did everything right just because the home passed code. An inspector is your last line of defense against major defects that could quite literally sink your financial future. When you choose an inspector, you’re selecting the professional who will give one of your biggest investments a full physical checkup. You want to choose someone you know who is competent, thorough and trustworthy. Unfortunately, too many buyers just go with the cheapest inspection company or the one recommended by their Realtor. The written report you get from the inspector doesn’t give you nearly as clear a picture of the condition of the house as you might think. Flook says buyers who don’t go along on the inspection can overemphasize minor problems, or worse, not realize how serious a defect is. Sometimes, buyers don’t follow up on items discovered in the inspection before they close. Like the man who didn’t grasp that the carbon monoxide coming from his water heater was a big problem, you may not realize how much it will cost to fix a given defect. Often inspectors will recommend buyers get an issue evaluated further, but the buyers wait to do it until after closing, says Kathleen Kuhn, president of the inspection company HouseMaster of Bound Brook, N.J.
“If buyers wait to have a system evaluated until after closing, it can turn out to be more expensive or a bigger deal than what they anticipated,” Kuhn says. 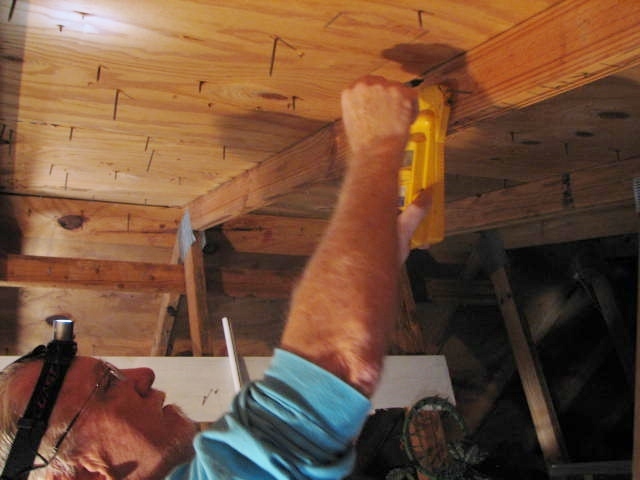 Kuhn says you should always get several estimates on repairs before closing, and you should feel comfortable calling your inspector to discuss these estimates. “The inspector may be able to share some insight into the contractors’ suggestions,” she says. A home inspector can tell you that an air conditioning system like the one in the home you’re buying usually only lasts 10 years, and yours is 11 years old. But he can’t tell you when it will fail. That’s when you need to follow up with people who know more about each specific system about which you have questions. And remember, the home inspector is hired by you. He’s there to give you an honest, straight opinion about the house.